Contrary to what you may believe, a beautiful kitchen does not have to equal thousands of rands. 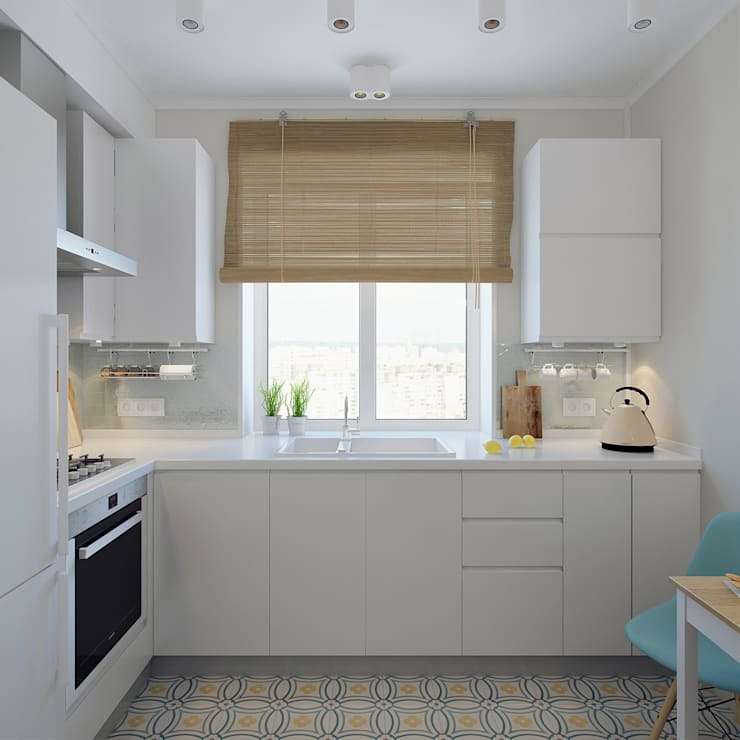 You don’t need to invest in a huge remodelling project in order to enjoy a stylish space where you can cook, bake, socialise, and do all those other little things that the heart of the home allows you to. 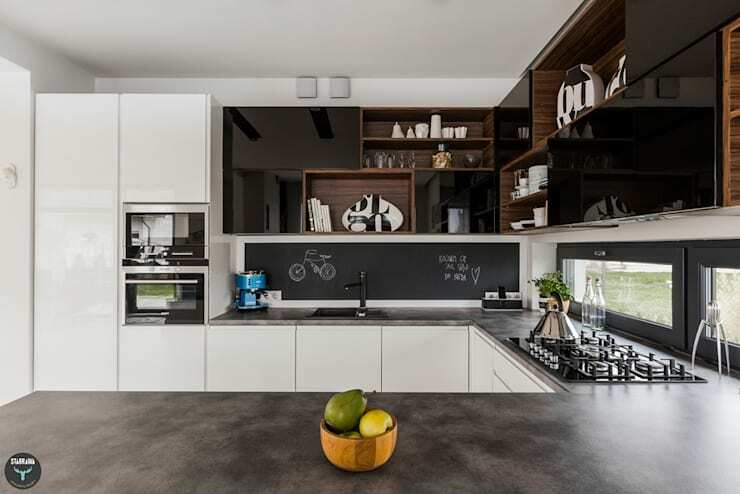 A little clever thinking and some touch-ups here and there can be all that is needed to turn that boring and dull-looking kitchen into a sizzling culinary space. 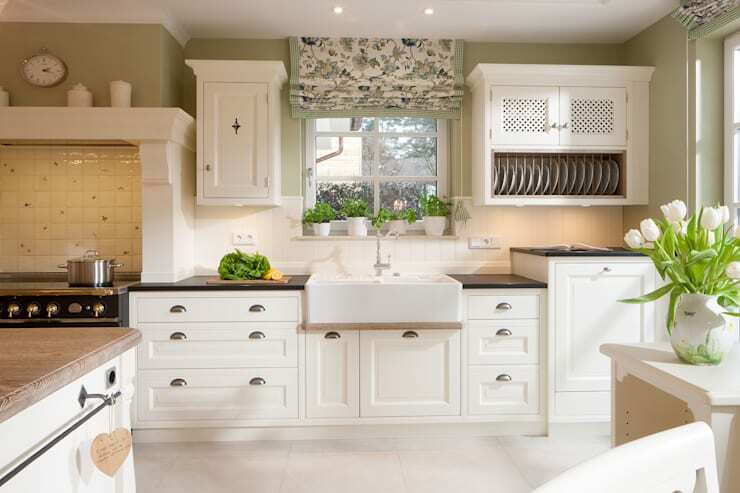 Fortunately for you, we have already done the thinking part, which means it’s only a matter of reading through our tips and deciding which ones you’ll be trying out for now while saving up for that big kitchen renovation you’re planning! Give your cabinets some space and bring in clever areas for your collectibles, like a floating shelf above the cabinetry, making for an easy-to-reach spot for those mixing bowls and other cooking/baking necessities. 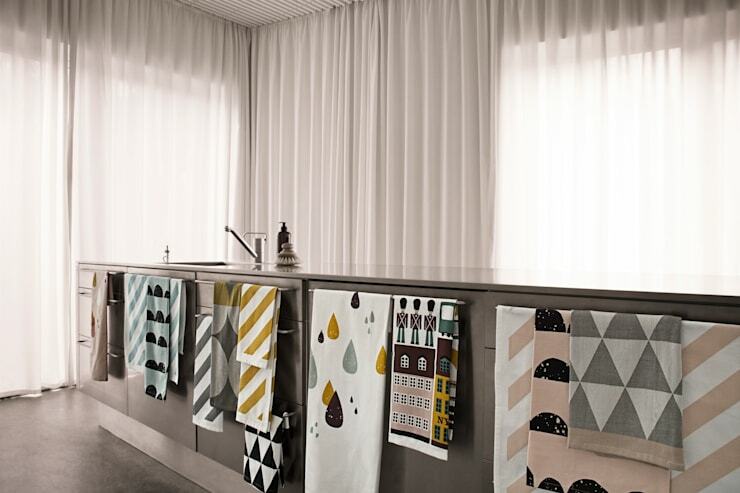 Those kitchen textiles are the perfect excuse to bring in colour and pattern. And you know that you don’t have to stick them into a drawer somewhere. Leave one elegantly draped over that island corner, or hang a few on wall-mounted hooks. 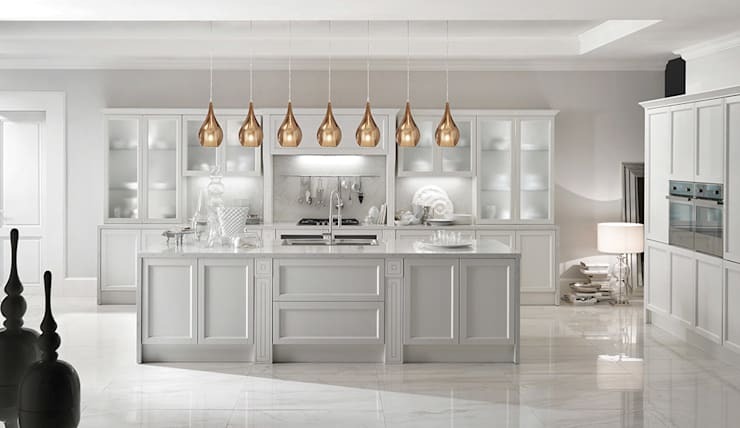 Even though kitchen lighting is important, you don’t need a R1,000 chandelier in your kitchen. Upgrading that dim overhead to a brighter fixture can make all the difference in the world. But since you’re touching up those lights, consider going green and opt for LED lighting. 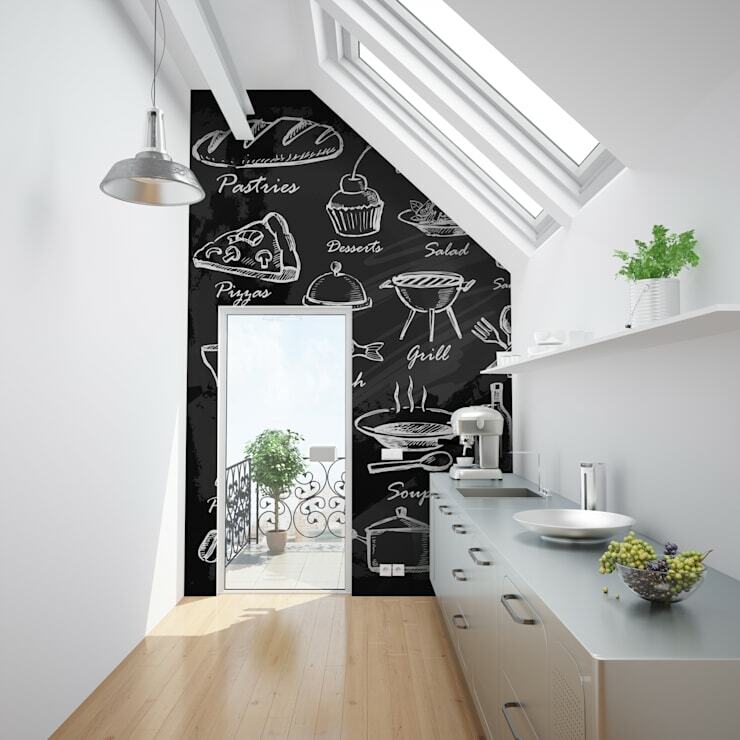 A can of paint can make all the difference in the world to your kitchen, but not just by touching up those walls. How about giving those cabinets a fresh coat of paint? 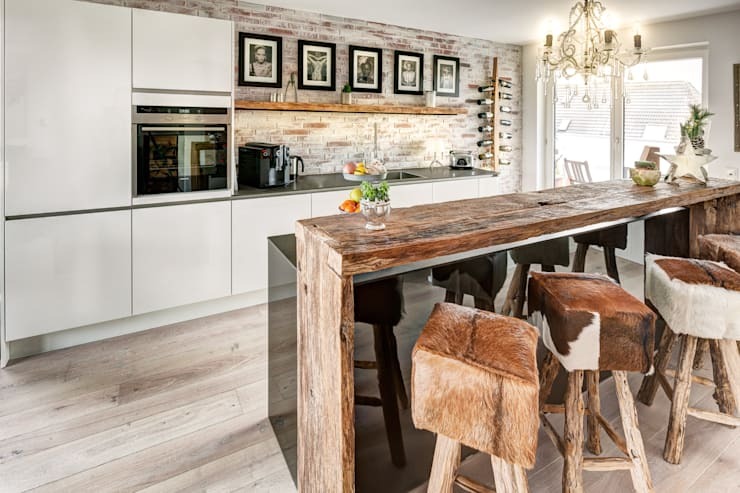 Or change your kitchen’s look by going from neutral to something more vibrant (or vice versa). 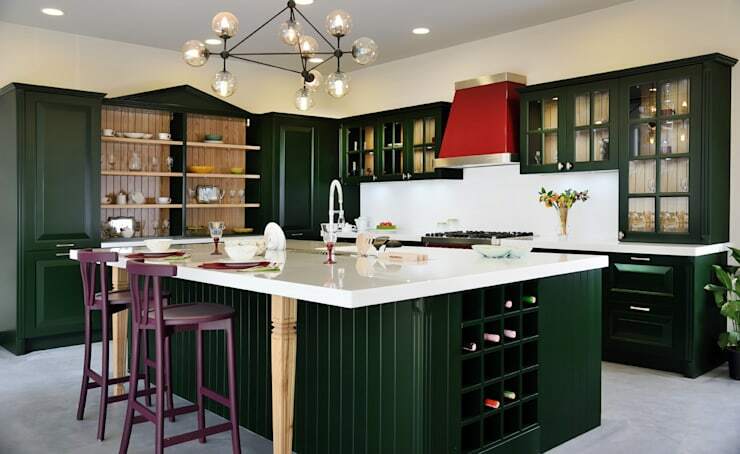 Citrus tones (oranges, yellows, and greens) can look terrific when paired with the right cabinets and appliances. If glass-door cabinets are out of the budget, but you still require an open look, ditch those cabinet doors altogether to create an open-shelf effect. Besides, how else are you going to display those classy dishes, bowls, and crockery of yours? Like textiles, new drapes can immediately bring in some colour and pattern, but think twice about the treatment you hang on your kitchen windows. All that heat, humidity, and splattering could ruin those curtains, so how about something more practical instead, like a roman shade you can easily pull up (and out of the way) when need to? 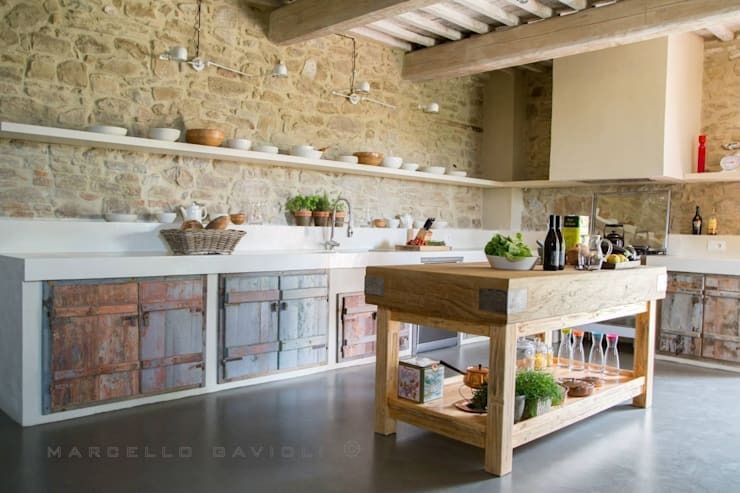 Those open shelves and counters are great opportunities for you to display your elegant taste. And one can never go wrong with a classic white-dish set. 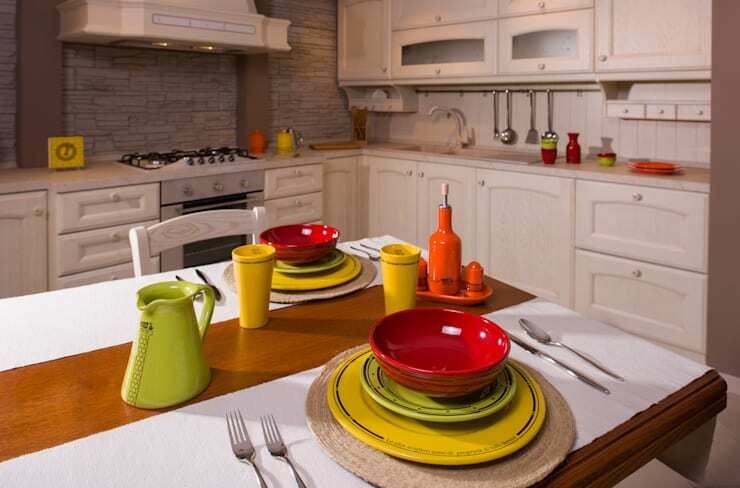 On the other hand, plates in mismatched colours that you get at flea markets can also add some charm to your kitchen. How expensive could stickers be? Whether it’s the backsplash or the wall area behind the stove, wall decals are here to make wall decoration that much easier and quicker. Opt for inspirational quotes, culinary artwork, words of motivation, or just simple patterns to zhoosh up your kitchen in an instant. It works for your living room, so why not for your kitchen? Beautiful artwork (whether it’s family photos or paintings) can bring in some character, whether hung against the wall or displayed on a countertop. Just keep that priceless Monet out of the work zone and rather opt for features that can easily be wiped off if need be. Don’t have the budget to rip up the floors? 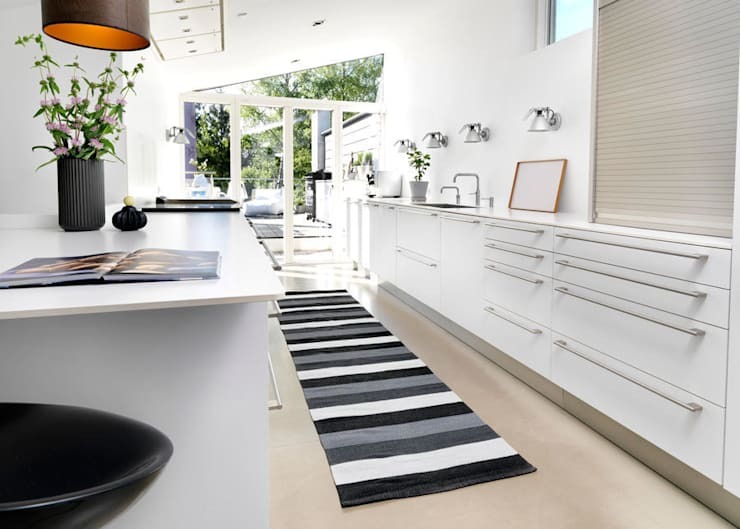 A rug can also make a dramatic change to your floor space, and is a very practical option for areas where you tend to stand a lot (such as in front of the sink or stove). Those fresh flowers and fruit can do so much more than adorn your garden. Plop them in a beautiful vase / bowl and let them decorate your kitchen counter/island. Just be sure to replace them regularly to keep that fresh look going! It’s important to keep that space spotless. See our advice when it comes to: Cleaning Your Kitchen Equipment. So, which idea(s) will you be trying out in your kitchen back home?